Do you need door installation Columbia Heights, Washington DC professional services? Simply, contact King Door and Lock Maryland and DC! You’ll certainly be amazed at our extensive set of door repair and replacement professional services for homeowners and business owners. Is the doorway of your property worn out and in serious need of replacement? Does your garage door only open half way? It’s particularly significant for organizations to have operational and attractive entrance doors. Whether you have to have a door for a dwelling or commercial establishment, or a brand new garage door, we’re your fast and friendly, 24 hour, premium DC service provider. Industrial door repair and replacement is different from residential door repair and installation. Our technicians are experts at both kinds of services. Commercial doors must be made of heavy duty quality to deal with their repeated use on a daily basis. As opposed to household doors, industrial doors are usually designed with more complicated components. At King Door and Lock Maryland and DC, we’ve been fixing storefront doors for almost a decade. We also recognize, as a business ourselves, that you are consistently keeping an eye on your bottom line. At King Door and Lock, we believe that our rates for door replacement, installation, and/or repair solutions are definitely the most reasonable for the high quality service our company offers in Columbia Heights, DC. If you find a cheaper company for the job, chances are they will be cheaper in caliber as well. You certainly will appreciate our straightforward rates combined with our quick, helpful service, so you’ll understand your door needs will be handled quickly and there will be no surprises on the bill. For those who currently have a garage door but it isn’t working properly, call King Door and Lock for high quality garage door repair in MD and Washington DC. For the same reasons listed above, you want to ensure that garage door repair is completed correctly at the beginning to secure the possessions you keep within. Our knowledgeable experts will check out your garage door and notify you if it requires to be replaced or perhaps if it can simply be repaired. We’ll let you know what it is going to cost in advance so there will be no hidden fees when you get the statement. Renovating your household in the Columbia Heights area and adding on a garage? King Door and Lock Maryland and DC features a skilled team to install and repair garage doors. Considering the different parts of a garage door, it is vital that you seek the services of professionals for the task. The garage is the ‘home’ for your vehicle and assorted additional things that the majority of us keep in there: lawn mowers, leaf blowers, motorcycles, and so forth. It is crucial that your garage doors continue to be secure and operational. You want the work done right by our highly skilled specialists making use of their high tech tools and equipment that enable them to handle any job of this nature. If your business needs garage door installation or repair, then we are your trained and experienced professionals for commercial garage door repair and replacement. Use our complete door expertise so our business will help your company to be successful. Our fast and helpful technicians can get to your office promptly so you know what your replacement or repair is going to cost. We will subsequently deal with the task correctly and courteously so you can focus on your own business. 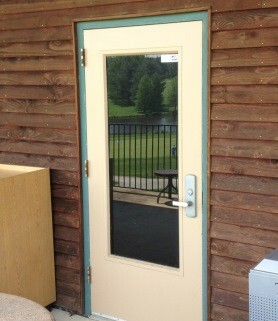 The crew at King Door and Lock performs exceptionally well in installing and repairing lots of non-commercial doors. Do you need a brand new screen door? If so, speak to our team to ascertain precisely what screen door services you will require. We provide you with up-front costs to ensure no hidden fees. Entrance doors show the individuality of your house and also connote an idea of the people living there. An entrance door installation from King Door and Lock radiates high caliber, workmanship, and professionalism to anybody who walks through it. When you’re getting front door replacement from King Door and Lock, you’re going to get transparent prices which means you understand exactly what you will pay for. You can have confidence with the work that we perform when installing one of your doors. We can also handle that back door leading to the yard or terrace, whether it’s a conventional hinged door or even a sliding glass door. Based on the state of the patio door or sliding glass door, we can either repair it or change it out entirely. King Door and Lock is well known for providing the best door installation Columbia Heights, DC service. The technicians at King Door and Lock Maryland and DC are your door experts. For door installation Columbia Heights, DC assistance, contact us. We supply comprehensive door expertise: door installation, door repair, door replacement. Our 24/7 door services includes residential doors, industrial doors, and garage doors. As well as external door replacement, repair, or installation we can also fix or replace internal doors in a residence or commercial building. This consists of pocket doors, hinged doors, and sliding glass doors. Our professionals will first of all assess precisely what is required to be completed. Maybe you will not have to have a totally new door. It could be a question of a door jamb repair or a door hinge repair. If the door frame is faulty, then maybe a door frame repair is all that might be required. Our technicians will size up the issue, figure out what in fact needs to be done, and afterwards, offer you transparent pricing so you’ve got the knowledge you will need to make the right decision. If you’re in Columbia Heights and also the surrounding area, call us right now. We’re here for you 24 hours a day, 7 days a week! 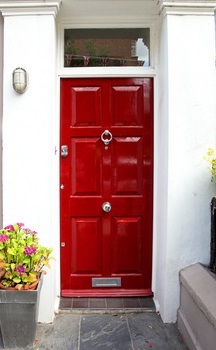 Our Door Installation Columbia Heights, DC Services https://kingdoorandlock.com/dc-door-installation/columbia-heights/ 3.9/5 based upon 29 reviews.